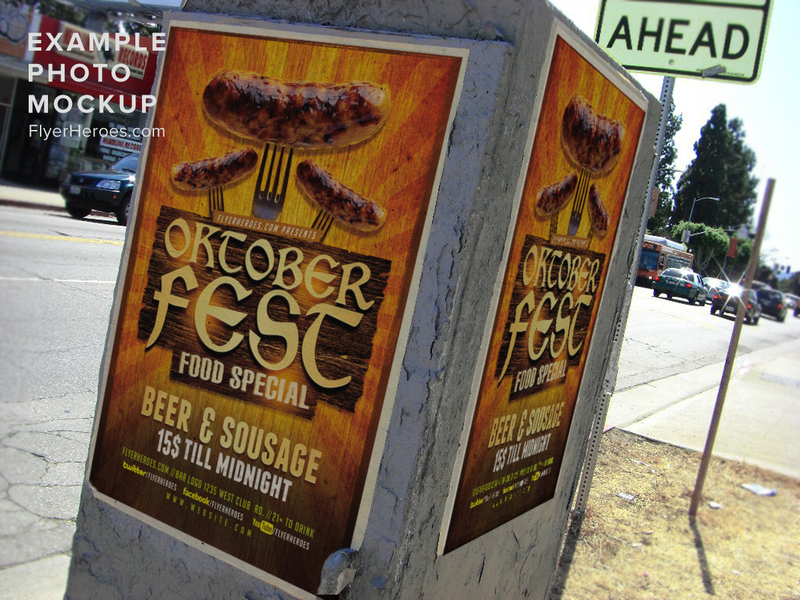 When Oktoberfest rolls around, there’s plenty more to be had than just beer! 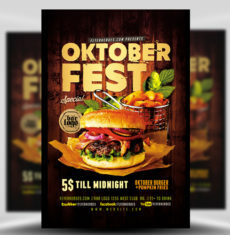 Whether you’re a bar, club, restaurant or if you’re thinking of throwing a backyard Oktoberfest BBQ party, promote your celebration with the Oktoberfest Food Flyer Template V2 from FlyerHeroes. 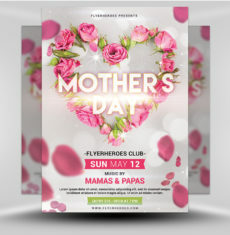 The main focus of this flyer are the three delicious, juicy sausages grilled to perfection. 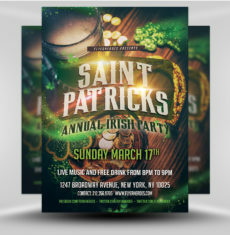 Sitting upon a wooden, texted background, the text evokes all the feelings of an elaborate Oktoberfest celebration. 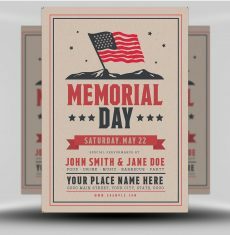 All of these images sit upon an explosive background of warm reds and yellows, create a beautiful contrast and an effective flyer. 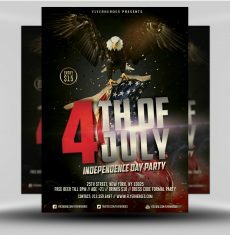 Change the typography and the layout of this flyer to your liking. 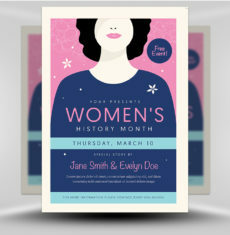 It’s all quick and easy – you don’t have to be a pro with computers to make this flyer completely your own. 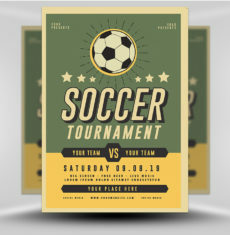 High-quality images. 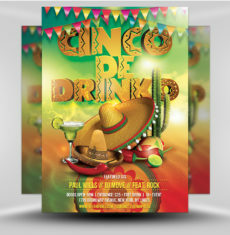 High-resolution final product. 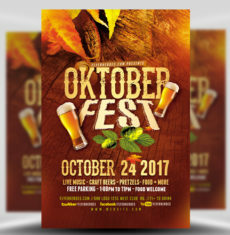 If you’re throwing an Oktoberfest celebration, let the world know about your food specials and watch the hungry patrons fly in! 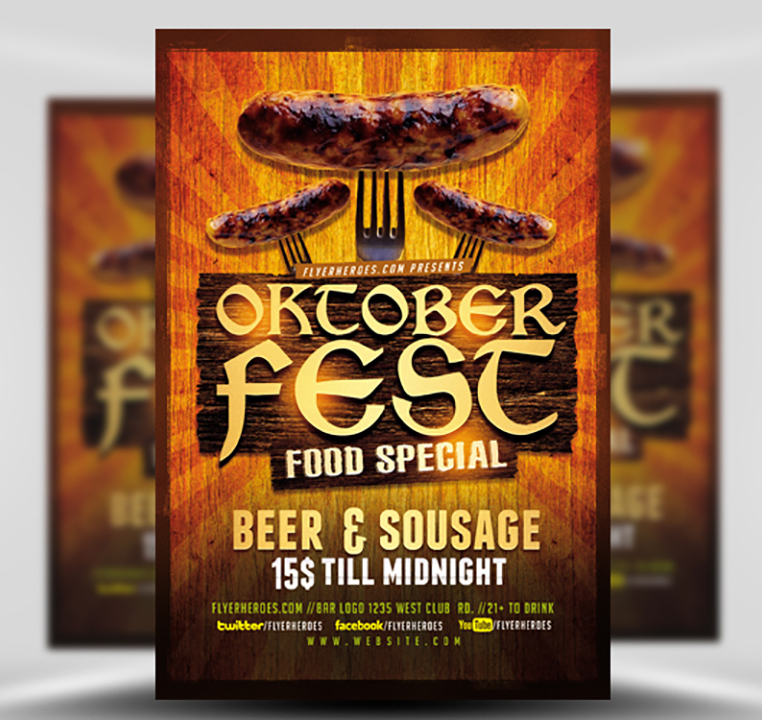 The Oktoberfest Food Flyer Template V2 is available right now – get yours today! 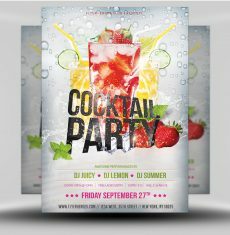 Like a good menu full of delicious eats, our inventory is jam packed! 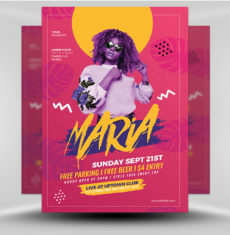 Pair this flyer template with another for one hell of an Oktoberfest celebration. 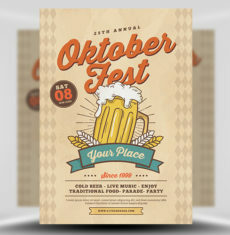 The Oktoberfest Flyer Template 6 is the perfect way to promote your party. 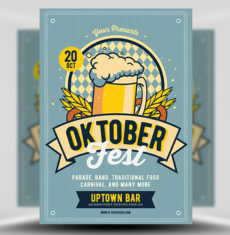 Pair it with the Oktoberfest Flyer Template 3 for greater exposure! 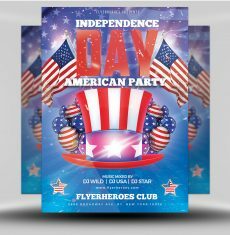 Take a quick search in the search bar above and find the perfect flyer for your event. 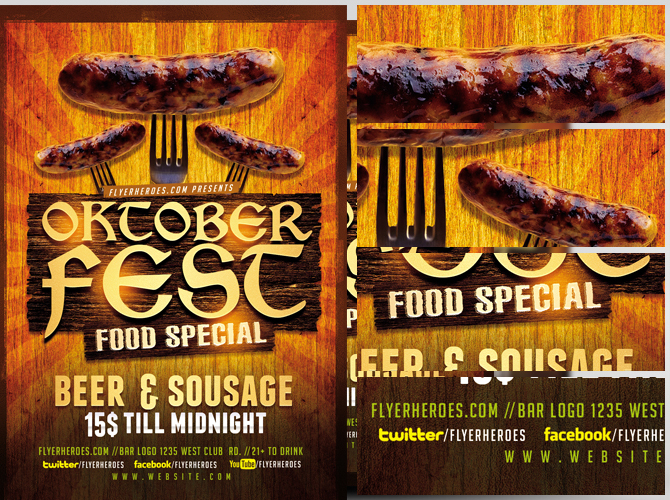 Fill some bellies with delicious eats with the Oktoberfest Food Flyer Template V2, available right now exclusively from the pros here at FlyerHeroes! 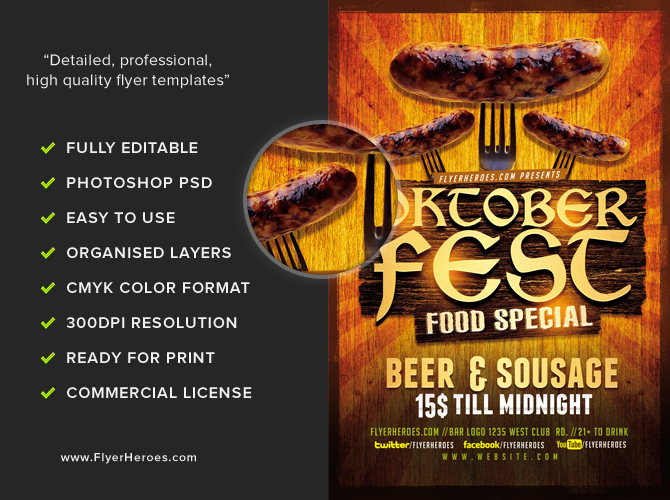 OktoberFest Food Flyer Template V2 is a premium Photoshop PSD flyer / poster template designed by FlyerHeroes to be used with Photoshop CS4 and higher.